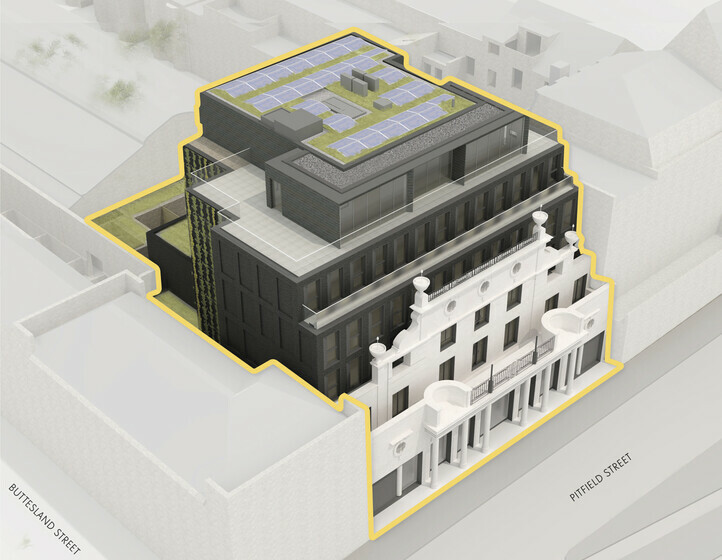 Pitfield Street is a new residential development using CLT construction, and combines the restoration of a derelict cinema with the provision of new commercial and residential accommodation. The mixed used development consists of 3 duplex apartments located over ground and first floor, with the remaining 15 located on first to fifth floors as well as a ground floor restaurant with a lower ground floor cinema. The building integrates the heritage façade whilst minimising the visual impact on neighbouring buildings. 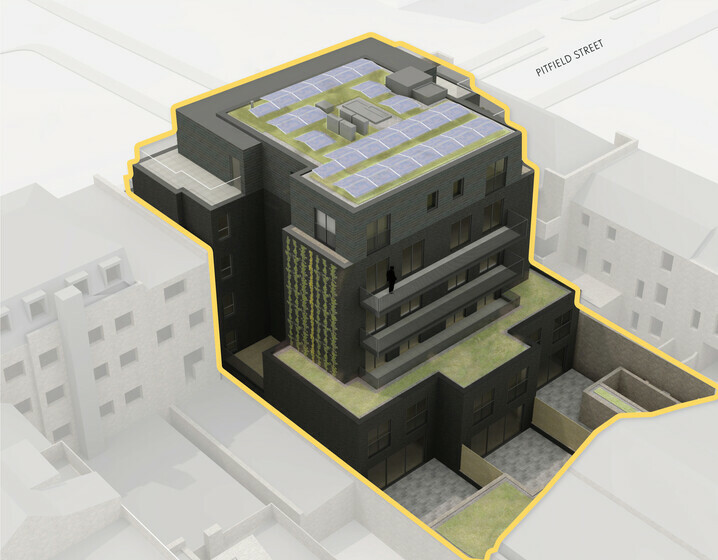 Pitfield Street is considered a signature project in the practical application of CLT and the integrated design of the environmental systems. Sustainable design is embedded in the project with a Code for Sustainable Homes Level 4 certification achieved. 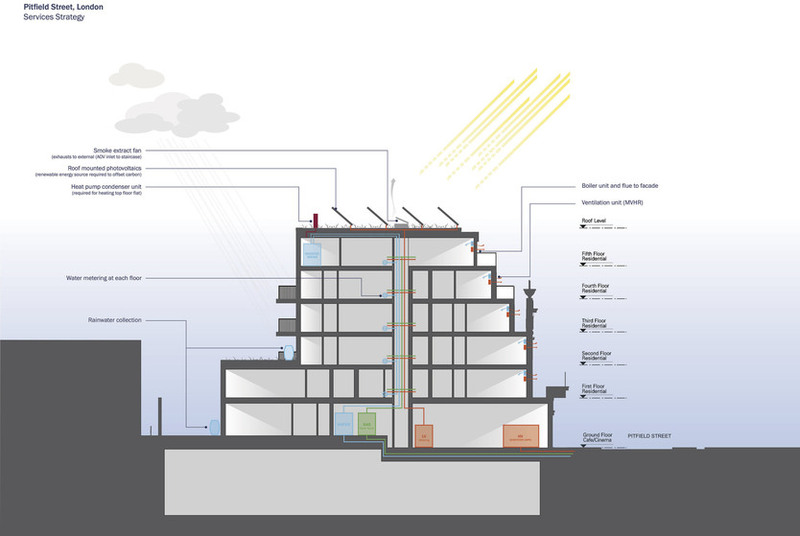 Passive design measures have been adopted, such as efficient built form, high levels of insulation, high airtightness, high levels of insulation, green roof, and solar control optimisation to minimise overheating. Active energy efficient systems have been integrated. These include: mixed mode MVHR ventilation, underfloor heating, Low NOx gas fired boilers or low energy heat pumps in some flats, cooling to the penthouse flat via heat pump technology, energy efficient internal and external lighting and energy sub-metering. The use of photovoltaic panels on the building roof is provided, to offset CO2 emissions for each dwelling.